Sub-atomic particles apparently traveling faster than light could force a major rethink of theories about how the cosmos works and even allow dreams of time travel and extra dimensions, scientists said on Friday. Jeff Forshaw, a professor of particle physics at Britain's Manchester University, said the results, if confirmed, would mean it would be possible in theory "to send information into the past." "In other words, time travel into the past would become possible ... (though) that does not mean we'll be building time machines any time soon," he told Reuters. 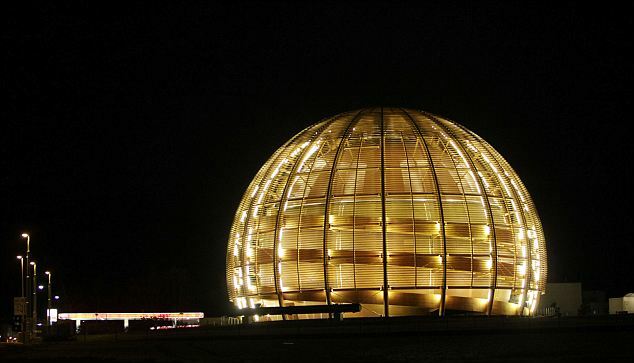 The international physicists who made the startling findings at CERN near Geneva said they must now be confirmed by independent research teams. The wider scientific community expressed astonishment and skepticism. "Extraordinary claims require extraordinary evidence, and this is an extraordinary claim," cosmologist and astrophysicist Martin Rees told Reuters. CERN, also home to the Large Hadron Collider that is probing how the universe began and developed, said measurements over three years had shown invisible neutrino particles covering the 730 km to a laboratory in Italy 60 nanoseconds -- or 60 billionths of a second -- faster than light. That reading could show that Albert Einstein, father of modern physics, was wrong when he laid down in his 1905 theory of special relativity that the speed of light was a "cosmic constant," and nothing could go faster. That principle, and Einstein's later general relativity theory, which expanded it into wider fields of physics, have been cornerstones of scientific views of the cosmos and how it works ever since. 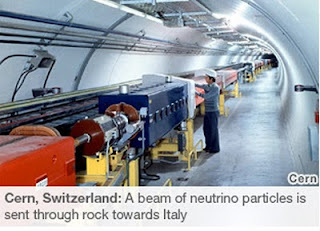 The new finding was recorded when 15,000 neutrino beams were pumped over three years from CERN to an underground Italian laboratory at Gran Sasso near Rome. Physicists on the experiment, called OPERA after the initials of its formal scientific title, say they had checked and rechecked over many months anything that could have produced a misreading before announcing what they had found. Professor Jenny Thomas, who works on neutrinos at Fermilab, the U.S. physics research center near Chicago, commented: "The impact of this measurement, were it to be correct, would be huge." OPERA's Dario Auterio, presenting the findings to a packed and clearly sceptical auditorium at CERN on Friday, said they were of "high statistical accuracy" and could not be explained by extraneous effects such as seismic tremors or moon phases. He declined to get into theoretical interpretations and told his audience of largely CERN scientists that other research centres -- Fermilab and probably Japan's T2K neutrino research team -- must now take up the baton. "In science, you can never be sure. 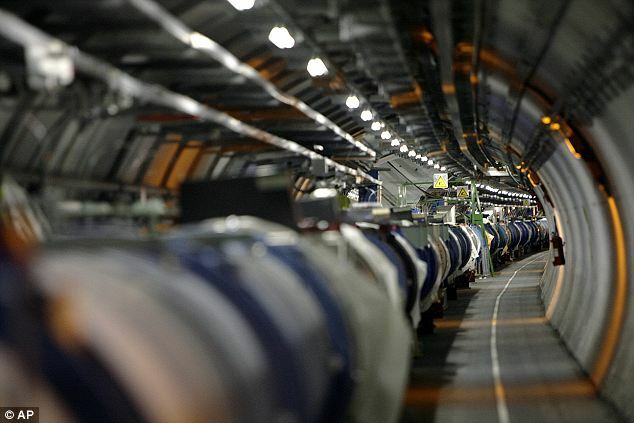 Something odd can always happen, however careful you are," said CERN spokesman James Gillies. "You've always got to get an independent result from someone else before you can say it's a discovery." 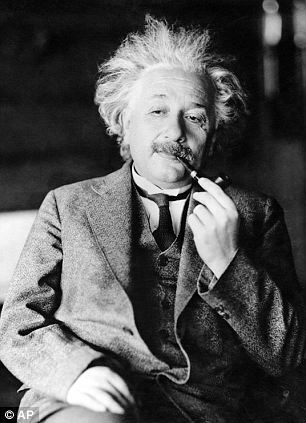 Many leading scientists were sceptical that Einstein's theories would have to be abandoned. "It is premature to comment on this," said Professor Stephen Hawking, perhaps the world's best-known physicist, who has come up with contested ideas of his own. "Further experiments and clarifications are needed." The high level of caution is normal in science where anything that could be a breakthrough discovery, especially one that overturns well-established thinking, is rigorously inspected by other researchers to see if they get the same results. CERN's research director, Sergio Bertolucci, reaffirmed this principle. "When an experiment finds an apparently unbelievable result and can find no artefact of the measurement to account for it, it is normal to invite broader scrutiny ... That is good scientific practice," he said. The measurements were posted on the scientific website arxiv.org/abs/1109.4897. Einstein's theory has been tested thousands of times over the past 106 years and only recently have there been slight indications that the behavior of some elementary particles of matter might not fit into it. OPERA spokesman Antonio Ereditato said the sub-atomic neutrino, which is normally produced in nuclear decay or nuclear reactions such as those on the Sun and was only confirmed to exist in 1934, "is still surprising us with its mysteries." Scientific bloggers on the Internet said the particle might be slipping into and out of dimensions, other than the known four of length, breadth, depth and time, as predicted by the controversial "string theory" of how the cosmos works. "Only when the dust finally settles should we dare draw any firm conclusions," said Professor Forshaw. "It is in the nature of science that for every new and important discovery there will be hundreds of false alarms." 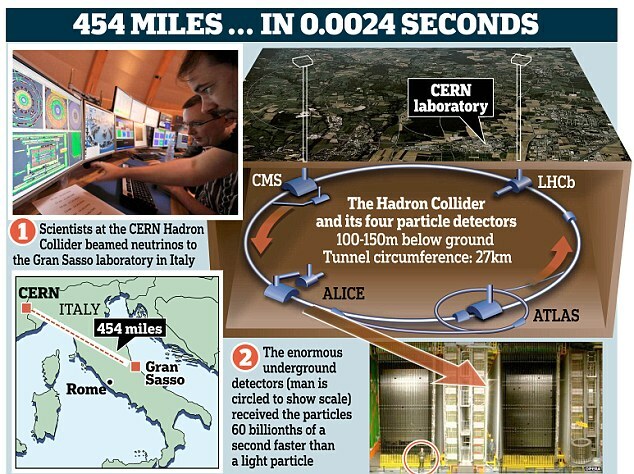 A neutrino beam fired from a particle accelerator near Geneva to a lab 454 miles away in Italy traveled 60 nanoseconds faster than the speed of light Scientists told the world of their astonishment yesterday after they apparently recorded particles travelling faster than the speed of light. If their calculations are correct, they have disproved Albert Einstein’s theory of relativity – the cornerstone of physics. Subatomic particles called neutrinos were beamed from the Large Hadron Collider in Switzerland to a laboratory in Italy 454 miles away, and beat the speed of light by 60 nanoseconds. It raises science fiction scenarios such as sending information back in time and blurring the line between past and present. As experts across the world expressed their shock – and cynicism – the physicists at CERN insisted they had tested and re-tested the findings for six months and could not find anything to alter the result. If they are right the neutrinos made the journey in 0.0024 seconds, travelling at 299,798,454 metres per second. The speed of light in a vacuum is 299,792,458 metres per second, meaning that the neutrinos completed the distance 60 billionths of a second faster than light, scientists told a press conference in Geneva yesterday. The result is so unprecedented, even the lead researcher Dr Antonio Ereditato has described it as ‘crazy’ and called on his colleagues to do the same test and see if it can be replicated. 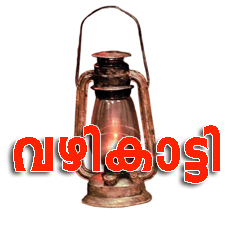 He said: ‘We tried to find all possible explanations for this. We wanted to find a mistake – trivial mistakes, more complicated mistakes or nasty effects. TV physics professor Brian Cox said if correct it was a huge discovery which opened the possibility of time travel. ‘It’s a very big deal,’ he said. ‘If you’ve got something travelling faster than light, it requires a complete re-writing of our understanding of the universe. ‘The reason everyone is cautious is because Einstein’s theory of special relativity says that nothing can travel faster than the speed of light and that’s the basis of our understanding of physics. The scientists – who did not set out to disprove Einstein’s 1905 theory, but were testing other things – used 16,000 neutrinos, which are tiny, almost weightless particles produced by nuclear reactions such as the Big Bang or star formation. Neutrinos are said to be ‘ghostly’ because they can travel through anything. Billions of them pass through our bodies every day. They were beamed through the Earth’s crust from the collider in Switzerland to a lab in Italy, where vast underground detectors received them. One possible reason for the incredible result is a miscalculation in either the distance or time. Only another test using a different path will tell – which could be carried out using colliders in the U.S. and Japan. 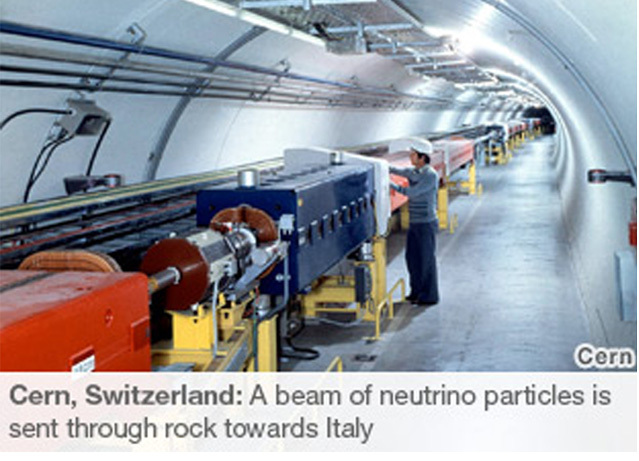 The institute collaborated with Italy's Gran Sasso National Laboratory for the experiment at CERN. Katsanevas said help could also come from the T2K experiment in Japan, though that is currently on hold after the country's devastating March 11 earthquake and tsunami. He cautioned that the neutrino researchers would have to explain why similar results weren't detected before, such as when an exploding star - or supernova - was observed in 1987. 'This would be such a sensational discovery if it were true that one has to treat it extremely carefully,' said Ellis.